Savor Beauty Raspberry Seed Nourish Serum 03, 1 oz. 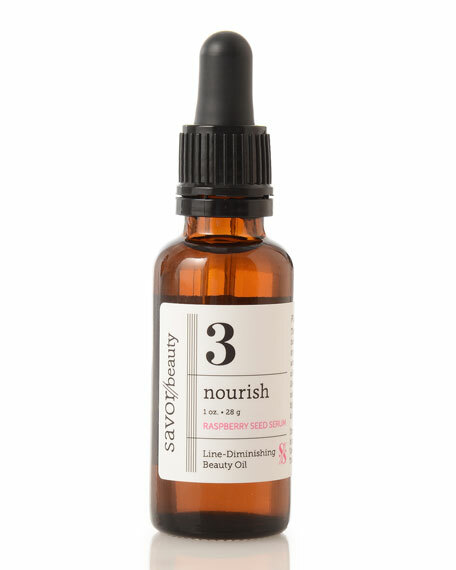 Savor BeautyRaspberry Seed Nourish Serum 03, 1 oz. This supremely nourishing face oil hydrates extremely dry and/or mature skin. An advanced replenishing blend of Red Raspberry Seeds and German Chamomile provides natural sun protection to fight signs of aging. Step 3 in Savor's 5-step skincare program. Omega 3 + Omega 6 Fatty Acids: Give natural glow and radiance. German Chamomile essential oil: Fights wrinkles. Raspberry Seeds: Provide natural UVA and UVB protection. Best for dry and/or mature skin. #KoreanBeauty Tip: Pat and press for juicy, dewy skin! 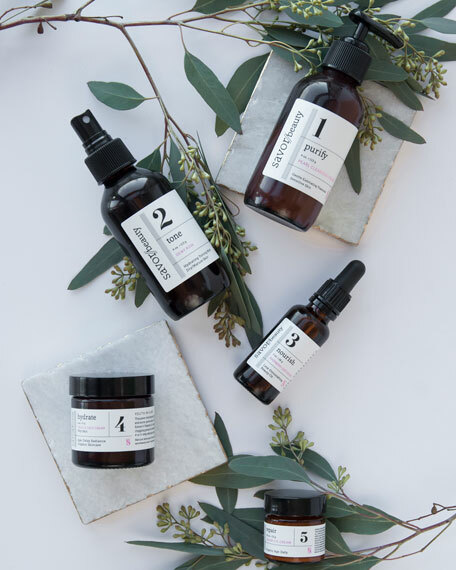 Warm 2-3 drops of serum between your hands and pat onto skin, then press to feel serum melt into your pores for velvet-smooth and radiant, soft skin.